Ex 15.1, 6 A courier-person cycles from a town to a neighboring suburban area to deliver a parcel to a merchant. His distance from a town at different times is shown by the following graph. 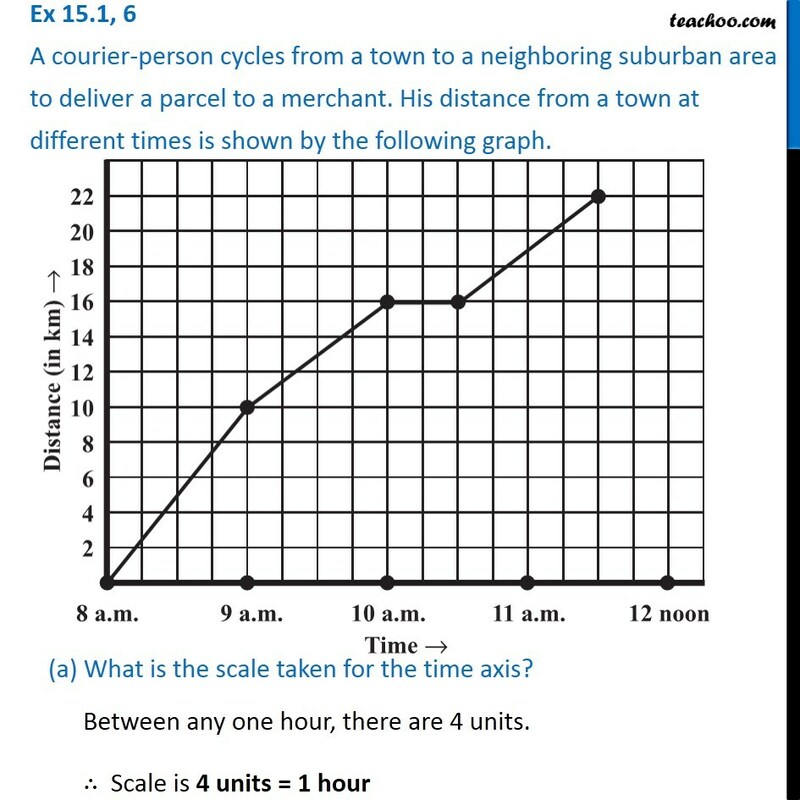 (a) What is the scale taken for the time axis? Between any one hour, there are 4 units. 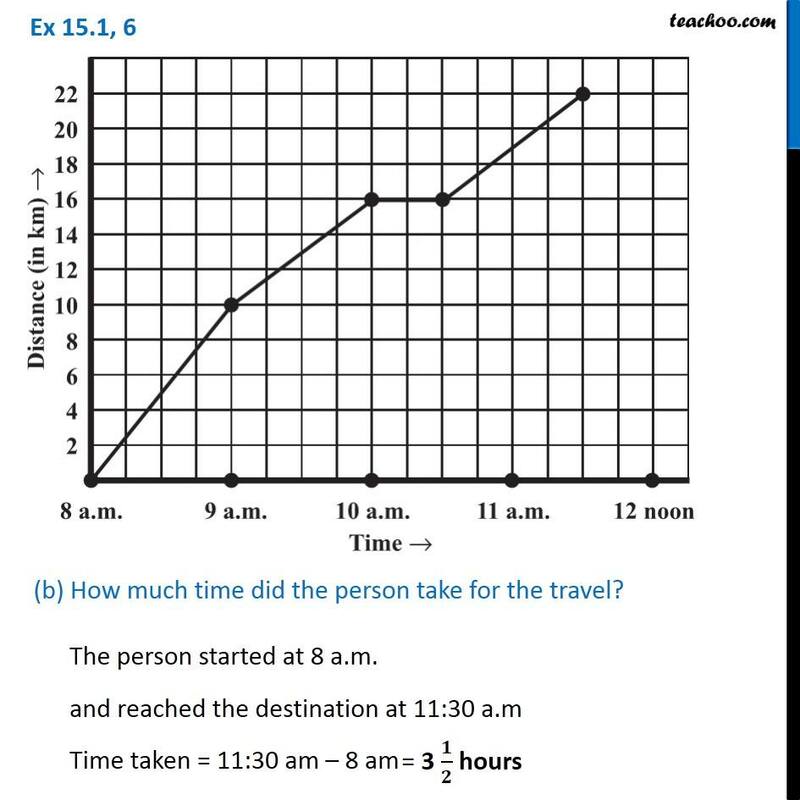 ∴ Scale is 4 units = 1 hour (b) How much time did the person take for the travel? 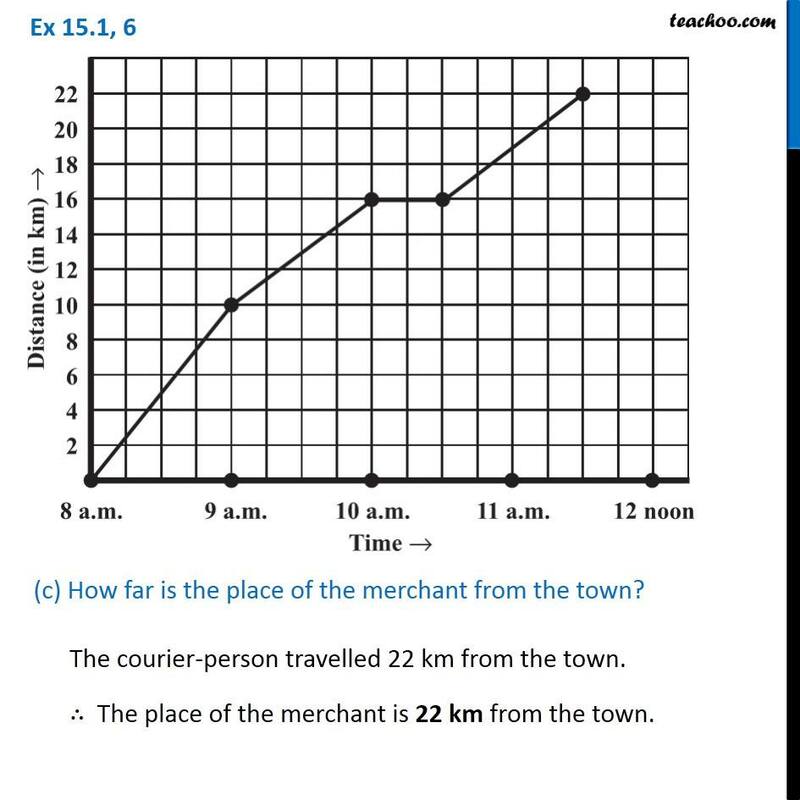 The person started at 8 a.m. and reached the destination at 11:30 a.m Time taken = 11:30 am – 8 am (c) How far is the place of the merchant from the town? The courier-person travelled 22 km from the town. ∴ The place of the merchant is 22 km from the town. (d) Did the person stop on his way? Explain. 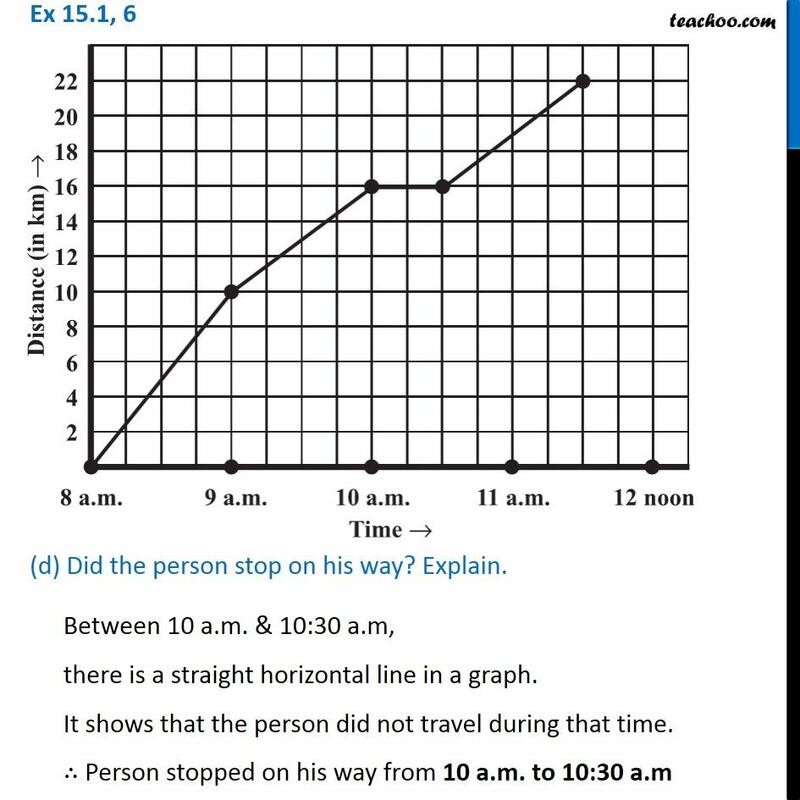 Between 10 a.m. & 10:30 a.m, there is a straight horizontal line in a graph. It shows that the person did not travel during that time. ∴ Person stopped on his way from 10 a.m. to 10:30 a.m (e) During which period did he ride fastest? 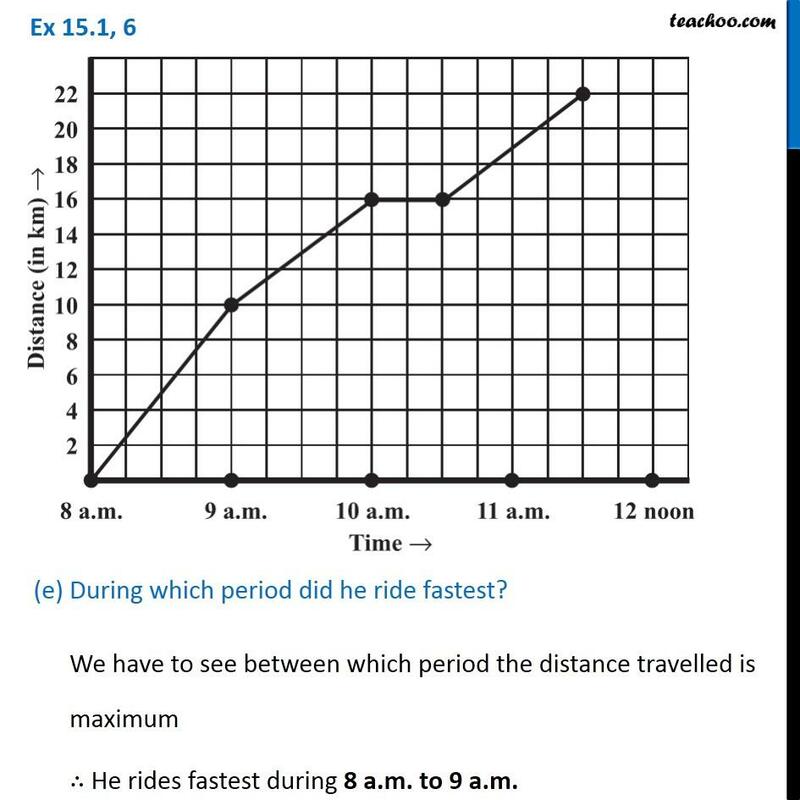 We have to see between which period the distance travelled is maximum ∴ He rides fastest during 8 a.m. to 9 a.m.